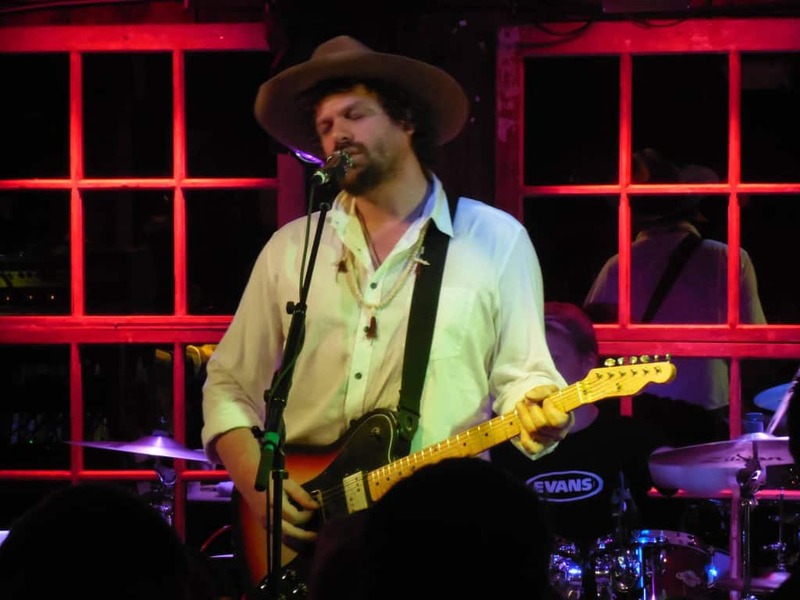 Rusted Root was formed in Pittsburgh, Penn., where Glabicki grew up. After one semester of college, he realized he could start writing music and dropped out. After a couple of years of writing on his own and auditioning musicians, he created a vision for the band. At one point he was seriously auditioning people, and he invited Liz Berlin (vocals, percussion for Rusted Root) down to the studio. She recommended Jim Donovan (founding member) as the drummer, so they tried him out and he was in. Later on, Patrick Norman (vocals, bass, percussion) joined and he knew some of them from college. Glabicki writes 95 percent of the band’s songs, but he says they all get together and collaborate on the arrangement. I asked Glabicki about how it was before they hit it big. He said, “We got started on our own. We played around Pittsburgh and did a lot of political-type benefits. Then we started circling out of Pittsburgh into upstate New York, Ohio and into West Virginia a little bit.” At that time they recorded their first album “Cruel Sun” which had future hits “Martyr” and “Send Me On My Way” on it. Those two songs would not become big hits until two years later on the album “When I Woke.” “Cruel Sun” was sort of a demo/first album. They sold 30,000 copies on their own which is very impressive and peaked some interest with labels. They got courted by Mercury Records, signed with them and released “When I Woke” in 1994. Last year’s show was something special and so is Glabicki. My favorite tune he did last year was covering Elvis’s “Suspicious Minds.” It was amazing and one of the best covers I’ve ever heard of that song. I can only imagine what he and Miller break out in this show. Do not miss this rare opportunity to see them in an intimate setting like the Pickle Barrel. If you have seen them before, then I know—like me—you won’t miss this show.